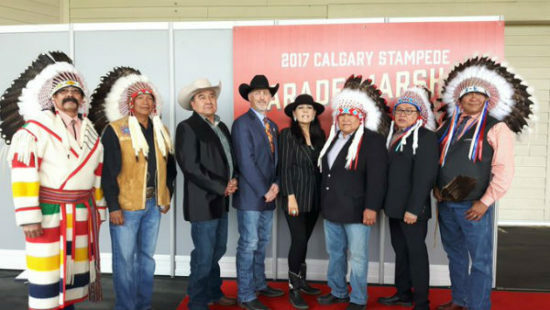 From left to right: Councillor Floyd Big Head, Representative of Chief Roy Fox Kainai/Blood Tribe, Chief Darcy Dixon – Bearspaw First Nation, Bradford Little Chief, Representative of Chief Joseph Weasel Child, David Sibbald, president & chairman, Calgary Stampede board of directors, Lowa Beebe, Representative of Chief Stanley Grier – Piikani Nation, Chief Ernest Wesley – Wesley First Nation, Chief Aaron Young – Chiniki First Nation and Chief Lee Crowchild – Tsuut’ina Nation. 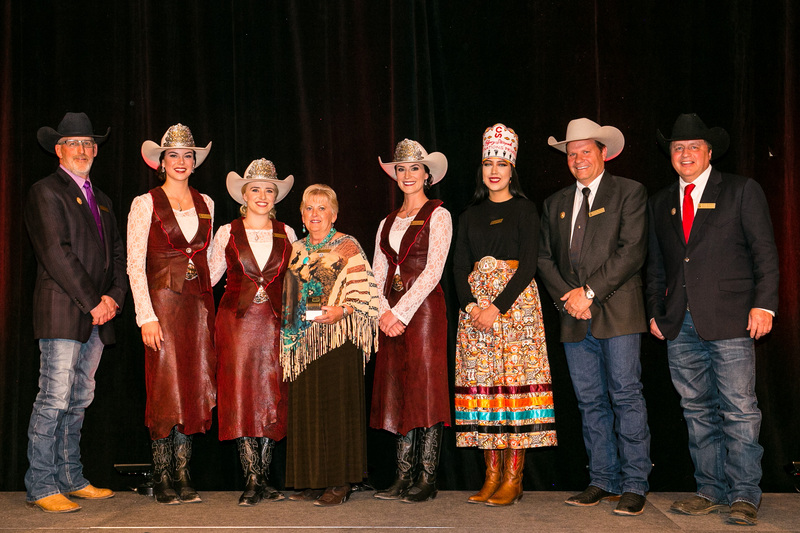 The Calgary Stampede is honoured to announce this year’s Parade Marshals are the seven chiefs of the Treaty 7 Nations. The Treaty 7 Nations are comprised of three Blackfoot Confederacy Nations, three Stoney Nakoda Nations and the Tsuut’ina Nation, whose territories are in southern Alberta. 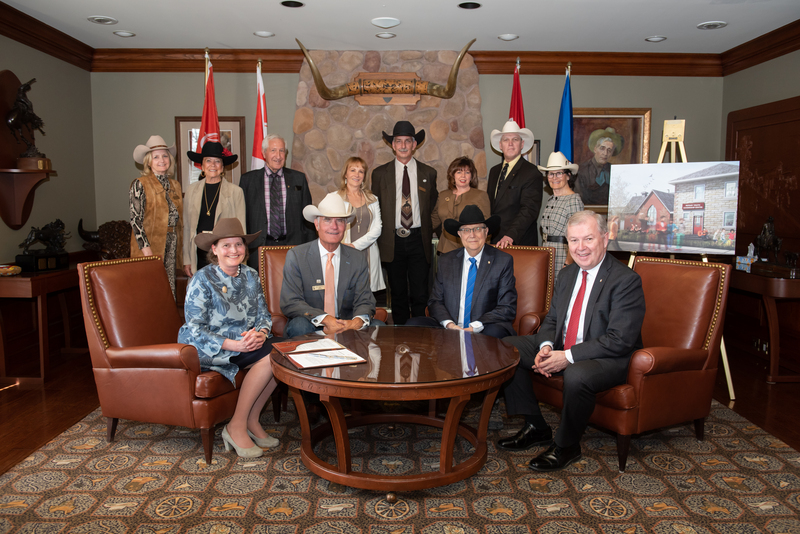 “We have had a strong relationship since the beginning of this great festival, and we would like to build on that relationship going forward, making our connection even stronger,” says David Sibbald, president and chairman of the board at the Calgary Stampede. 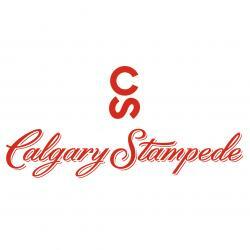 The origins of the relationship that exists between the nations of Treaty 7 and the Calgary Stampede dates all the way back to 1912 when Guy Weadick, creator and organizer of the very first Stampede, requested that First Nations be a part of the celebration. 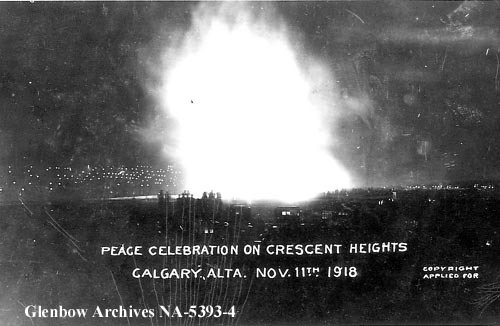 In 1912, 1,800 First Nations people participated in the Calgary Stampede, leading the parade, competing in the rodeo and camping in the first informal Indian Village. Chief Roy Fox has had a long history in politics, serving the Blood Tribe for 22 years. He was first elected in 1974 as Councillor and in 1980, as the Chief until 1996 when he retired from politics. In 2016, he decided to re-enter politics after a 20-year hiatus and was re-elected as Chief of the Bloods by a landslide victory. “I served a total of 22 years; six years in council and 16 years as chief,” Fox said. The Chief was born in 1947 and raised on the Blood Reserve. His early years were spent at the St. Mary Indian Residential School, where he excelled as a student and athlete noted for his skill as a hockey player. He also competed in other sports including football and rodeo. Shortly after leaving the school in 1964, he was employed with Corrections Canada, and Native Counselling Services of Alberta as a court worker. In 1975, he met his wife Patricia and together they raised two children. They recently celebrated 42 yrs. of marriage. 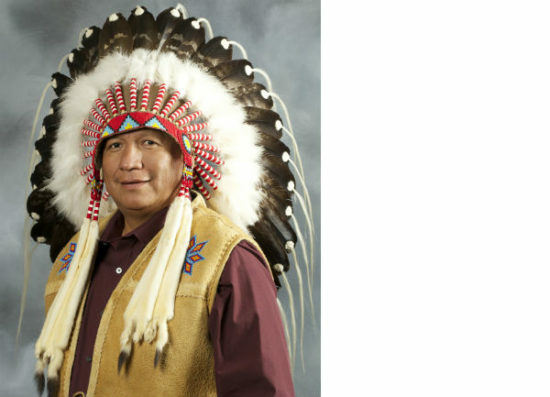 In 1997, after his resignation as Chief of the Blood Tribe, he was appointed the CEO of Indian Resource Council (IRC) which is based in Calgary. IRC is the main representative of First Nations Oil and Gas resources in Canada and oversees much of the business dealings in the Energy Industry. As CEO, Roy was one of the main players in the industry internationally. Roy is an advocate of resource development by Indigenous Nations and sees that as a means to advance First Nations people. On the Blood Reserve, he was instrumental in the development of BTAP, the mega irrigation project the tribe initiated more than 25 years ago, still going strong. 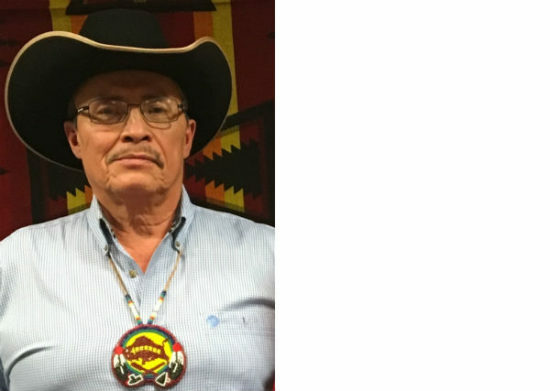 Today he sees the many changes that have occurred in the Blood Tribe Community in recent years and is ready to meet these challenging times. Stan is a member of the Piikani Nation, part of the Blackfoot Confederacy. Born at Pincher Creek, Alberta, to the late Charles (Bunny) Grier, a Korean War Veteran, Rancher and Lifetime Piikani Nation Band Councillor, and to the late Eileen G. Grier (Nee: Crow shoe), a homemaker and a Social Worker with the Peigan Social Services Department. Chief Grier’s late parents were active members of various Traditional Societies of Piikani Nation. Chief Grier’s maternal Grandparents were the late John “Jack” Crow Shoe Senior and Elizabeth “Missy” Crow Shoe (Nee: Yellowhorn), and his Paternal Grandparents were the late Charles Grier Senior and Julia Grier (Nee: Provost). Stan is Married to Avril N. Grier (Nee: Northpeigan), also from the Piikani Nation. They have four children; Julia F.H. Kirk (Nee: Grier); Reba V. Elias (Nee: Grier), Charles S. Grier; and, Joshua C.J. Grier, and two grandsons, Boaz Elias and Julien S.W.S. “Bunny” Grier. He joined the Royal Canadian Mounted Police (RCMP) in 1979 at the age of nineteen (19) and has extensive policing experience encompassing Thirty-Four Years. During Chief Grier’s posting at the RCMP “K” Division Staffing and Personnel Branch he developed and presented a ‘Business Case’ pertaining to the “Recruitment & Promotional Opportunity for Aboriginal RCMP Member’s.” This initiative contributed to a force wide policy initiative which has contributed to the ‘Recruitment & Retention,’ including career advancement of First Nations & Aboriginal Peoples’ in the RCMP. Chief Grier was a two-term national president of the First Nation’s Chiefs of Police Association (FNCPA) which was responsible for (54) First Nation Self-Administered First Nation Police Services from British Columbia to Cape Breton, Nova Scotia. Born and raised at Siksika, Joseph Weasel Child, Stah’toopahmoo, is from the Saiyiiks Clan and has always been actively involved in the traditional and cultural Siksika way of life. His parents, Adolphus and Alice were tipi owners in the Indian Village, where he spent many years taking part as a chicken dancer and fancy dancer. Joe enjoyed playing fastball and bull riding in his younger years. 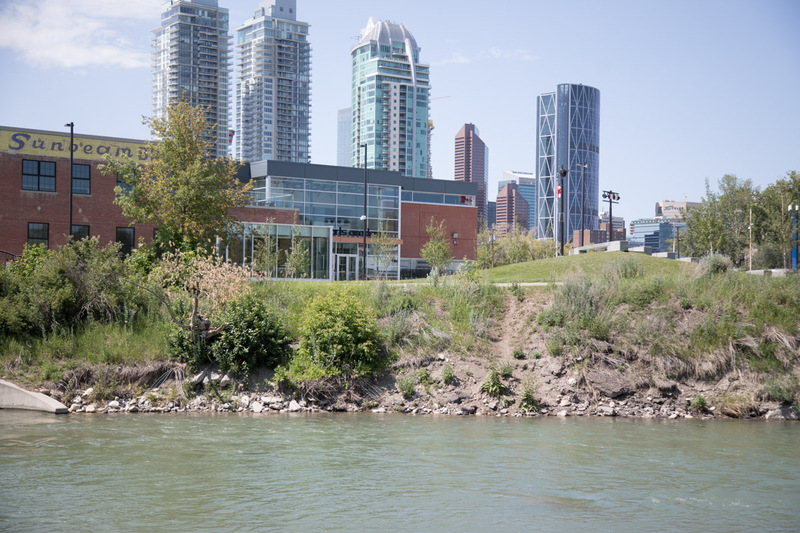 He was educated at Siksika and continued on at the University of Calgary. Joe has been married to Sharon for 40 years, they have a daughter and two sons and have been blessed with 15 grandchildren. His early work was with the Siksika Youth and Crisis Centre, where Nation youth gathered in a safe place to participate in cultural, athletic and leadership activities. His role as a purchaser for Petro-Canada prepared him for his next role as Senior Manager for Siksika Land Claims. As one of the most successful First Nation claims negotiators, his team settled five claims and brought in almost half a billion in settlement revenue. Elected Chief of the Siksika Nation in 2016, he is working on developing a Siksikaitsitapii Constitution to protect our traditional way of life and build a solid economic future. 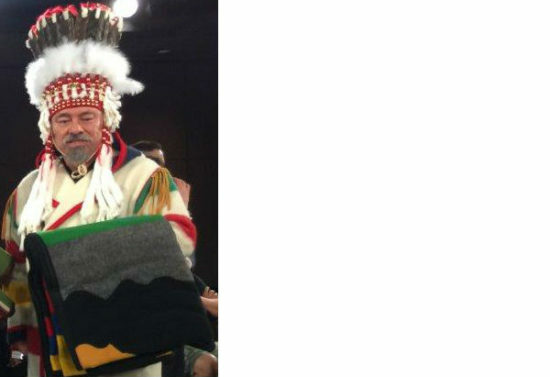 Chief Darcy Dixon is currently serving his eighth term as Chief of the Bearspaw First Nation. He first became Chief in 1998, and served five terms of two years until 2008. 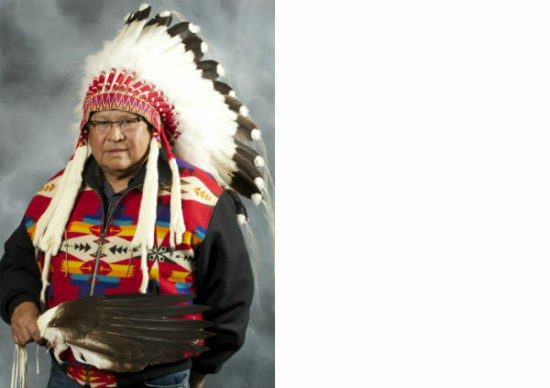 He is currently in his second three- year term for the Bearspaw First Nation and Stoney Nation. Previously, Darcy served one term as Councilor before deciding to run for Chief. 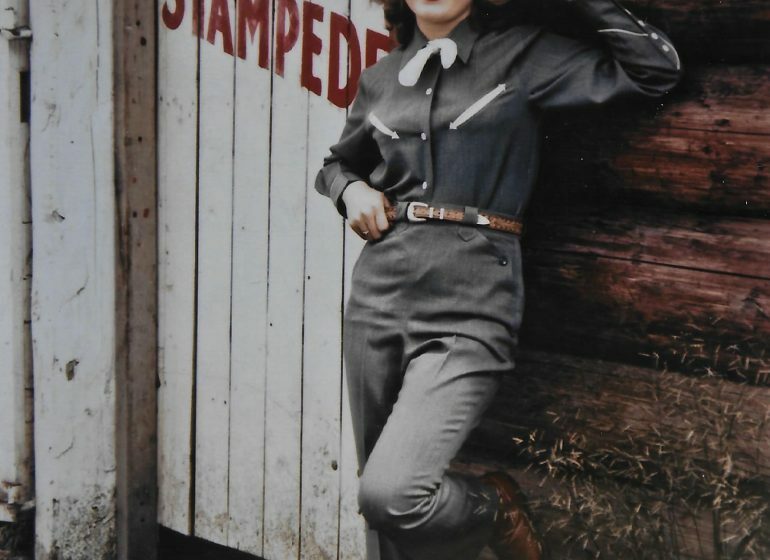 Darcy grew up on the Eden Valley Reserve and attended the Longview School; he then graduated from Ponoka High School. Darcy’s Post-Secondary Education was at Mount Royal College (now University) where he earned a Diploma in Social Work. He then went on to act as the Director of Stoney Social Services before entering Politics. He has held many jobs, both for the Nation and with employers off the Reserve. Darcy serves on many boards on behalf of the Nation and Stoney Tribe, as well as in Treaty 7 and the Alberta region. He was also heavily involved as a panel member in negotiating First Nation Casino Gaming in Alberta. Darcy is married to Kathy, and has four children and six grandchildren. 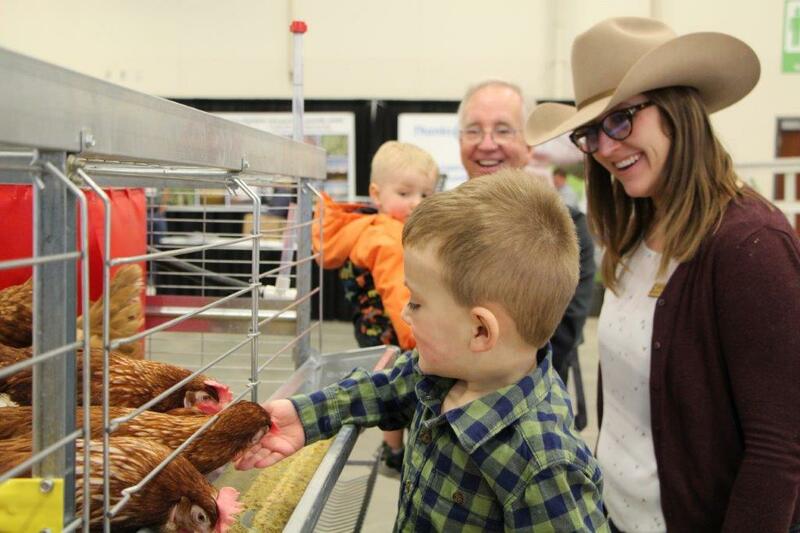 Darcy continues to be heavily involved in economic development and community development for the Bearspaw Band and the Stoney Tribe since taking office. He has played a leading role in the construction and operation of the Stoney Nakoda Resort & Casino, Bearspaw Service Centre (Centex and Subway Franchise), Eden Valley Gas Bar, Bearspaw Equestrian Centre and the Bearspaw Youth Centre. Darcy and the Bearspaw First Nation are now constructing the new Bearspaw Kananaskis Travel Centre (Esso and Tim Hortons) which is expected to open in late 2017. He has also fought to protect Treaty and Aboriginal rights both in the legal arena and in direct discussion with various members and levels of government. Chief Ernest Wesley was first elected councillor in 1982 and then became Chief in 1992. For the past 30 years, Chief Wesley has been dedicated to improving the lives of Stoney Nation citizens. Chief Wesley has been a very active volunteer, representing the Stoney First Nation at all levels of government. He has been an executive member and served as Chairman on the Board of Directors of the Indian Resource Council and Chairman of Indian Oil and Gas, a department of Indian and Northern Affairs. He was instrumental in restructuring the Treaty 7 Tribal Council to what is now called the Treaty 7 Management Corporation, and during this time held the portfolios of health, education and inter-governmental relations. He was also a member of the Provincial Aboriginal Tourism Advisory Council on Economic Development. He was a leader in the discussions and negotiations on First Nations Gaming with Alberta Gaming and Liquor Commission to make policy changes for Aboriginal Casinos and its operations. He was part of the Alberta Chiefs to sign an inter-governmental agreement with the Alberta Government and First Nations governments to set up protocols. He was also instrumental in developing a co-management health agreement which was signed with the Federal Government on health for First Nations citizens in Alberta. In 2002 the G-8 Summit was held near Stoney traditional territory, where Chief Wesley was a strong negotiator for the Stoney Tribe . He has worked with municipal governments and land developing companies to help better economic initiatives for his people. He has consulted with the provincial government on water management issues and traditional land use studies. Chief Wesley successfully set up the Heritage Trust Fund for the Stoney Nation in 1996 and today is leading the Wesley Nation to secure their portion of this fund for future generations. He was instrumental in building the Stoney Nakoda Resort casino, of which Wesley Nation own one-third. Chief Wesley was again instrumental in building the Trade Centre and the Eagle Landing Elders Lodge for the Wesley Nation. Chief Wesley was a key player in the negotiation with the Government of Alberta pertaining to the June 2013 floods. 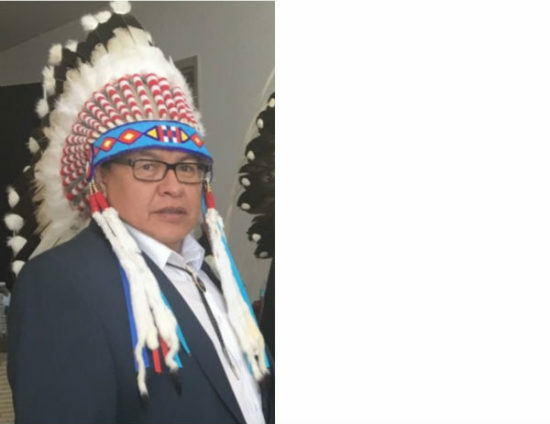 He also was a key player in creating the Stoney Nakoda Oil and Gas department and in the activation of Nakoda Oil and Gas Inc. as an operating oil and gas company, wholly owned by the Stoney Nations. Chief Wesley graduated with a B.A. in political science from the University of Calgary and has become a strong role model in his community. He is a strong advocate for youth and all educational endeavours. He supports self-government and believes passionately that the Wesley First Nation can and will take its rightful place in Canada. He is a controversial, visionary leader and believes the past must be preserved and will pave the way to a strong culturally rich future. Coming from a strong family line of chiefs, including his great, great grandfather “TaOtha,” a leader in the 1800s, Chief Wesley believes innovative leadership must be intertwined with authentic cultural endeavours. He will always be known as a tireless visionary who some would say is ahead of his time. Chief Aaron Young has served 12 years as an elected representative of the Chiniki First Nation in Alberta. He was re-elected as Chief of the Chiniki First Nation in 2014. Chief Young was a member of the founding committee of the Alberta First Nations Technical Advisory group (TSAG), which was formally established by a resolution of the Alberta Chiefs in 1996. He currently sits as a director of many boards ranging from Child & Family Services, to being the president of Stoney Nakoda Developments. Chief Young, along with his fellow chiefs, worked with the Federal Government to achieve a safe G8 Summit in Kananaskis in 2002. In addition to his distinguished political career, Chief Young has proven himself as an entrepreneur having started and run a successful house construct ion and renovation business. He also co-established an independent group home, providing services to child welfare clients which is a separate entity from Stoney Child & Family services. This group home is successful in re-introducing Stoney culture back into their lives. Chief Young is an advocate for community development; he believes that the protection of children and preservation of the family is sustained through the provision of housing, culture and traditional teaching. He is a strong believer in the importance of the protection of youth, through the provision of education and a safe community environment. He is a tireless advocate for the creation of an economy for his people. 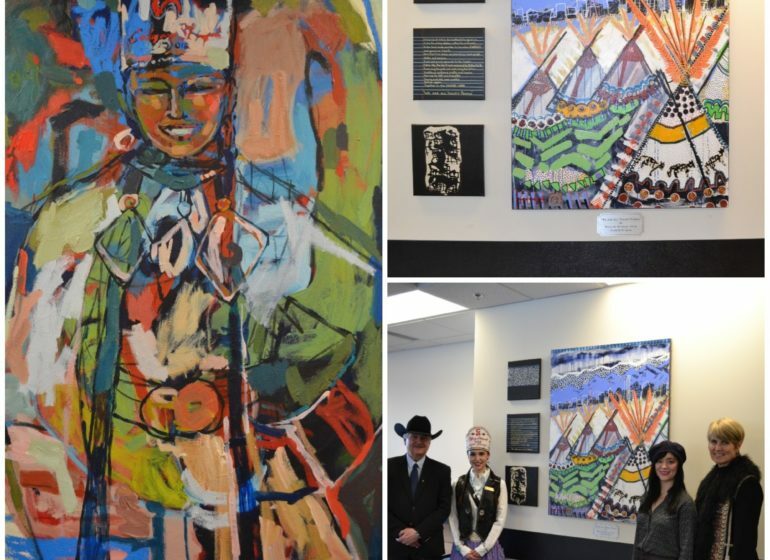 In addition, Chief Young is a talented artist whose art has been presented as gifts to visiting dignitaries. Approaching life with a sense of humour and a deep honour of traditional values, Chief Young is an inspiring leader for his people. 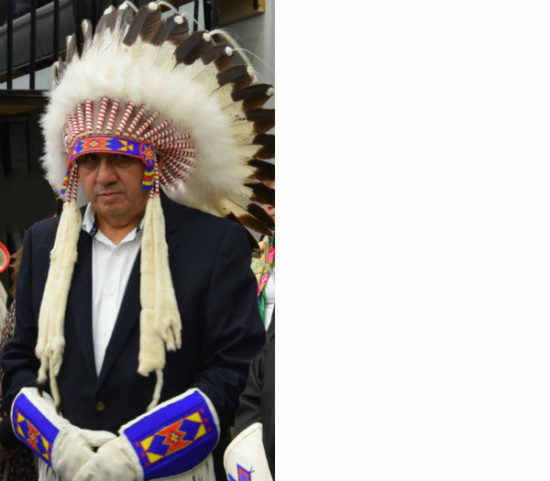 Xakiji (Chief) Lee Crowchild is the third generation Xakiji following in the footsteps of his father, former Xakiji Gordon Crowchild and his grandfather, former Xakiji David Crowchild, whom Crowchild Trail is named after. Having an extensive and varied educational background, Xakiji Crowchild graduated from Washington State University in 1982 B.Sc.P.E, with a focus on biomechanics and exercise physiology. He also attended the University of British Columbia and graduated in 1999 with a diploma in EDST. He also has a diploma in Film from the Vancouver Film School, 2002. He started at Mount Royal (College) University, where he was asked to return as an instructor. His achievements extend over many different disciplines and endeavours, including and not limited to: The Tom Longboat Award – Canada’s Athlete of the year 1982, Entrepreneur of the Year 1989 from the Calgary Chamber of Commerce and the Khot-La-Cha Award from the University of British Columbia 1999. He also successfully led a Dance company known as Red Thunder Native Dance Theatre for 13 years. He has worked in many capacities and positions within Tsuut’ina, this includes, Manager of Infrastructure, director of Public Works and Emergency Management for the Nation. Outside the Nation he has also held a wide-range of positions for various boards including the APTN board of directors and currently is the Chairman of Making Treaty 7 Cultural Society Board of Directors. 105 years later, the Calgary Stampede is honoured to have the seven chiefs of Treaty 7 Territory continue the relationship as our special guests for the 2017 Calgary Stampede Parade. 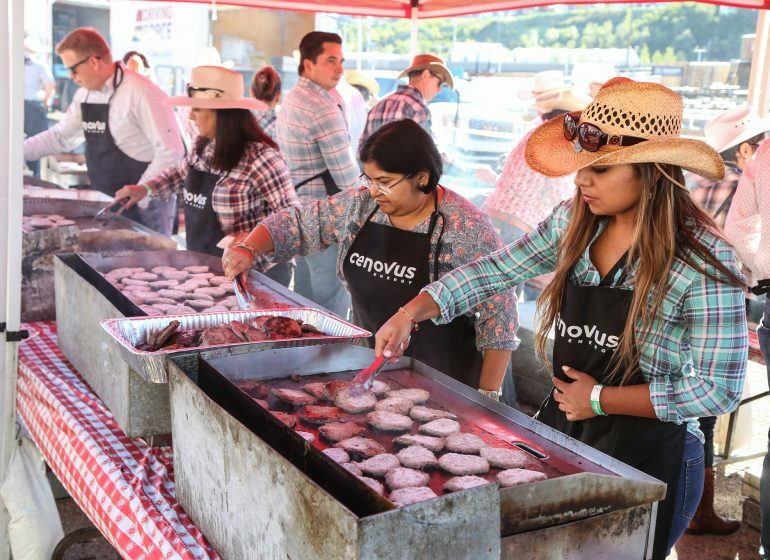 My Stampede Monday: where to splurge and save at this year’s Stampede!